This collection of in-depth articles aims to dispels common myths and assumptions around HR Best Practice strategies. An approach that perceives people as important assets (Human Capital) and whose value can be measured and enhanced through investment and development. Employee Performance Management is about aligning the organisation's objectives with employee objectives, to make sure all work is making a positive impact! Employee Performance Appraisal is the process of setting goals for employees at the start of each year and hoping that these goals can be achieved come review time. Talent Management is an organisation's commitment to recruit, retain, and develop talented employees! Use it to recruit internally to save your business money! 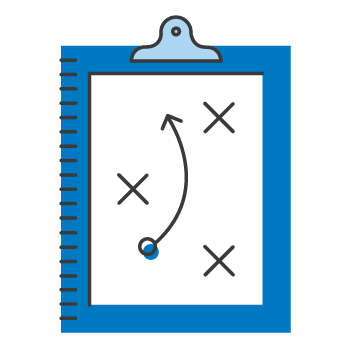 Strategy mapping is a cornerstone of business-aligned strategies. Done right, it produces clearly defined objectives with measurable results. Organisation Development enables organisations to build and sustain a new desired state for the entire organisation.